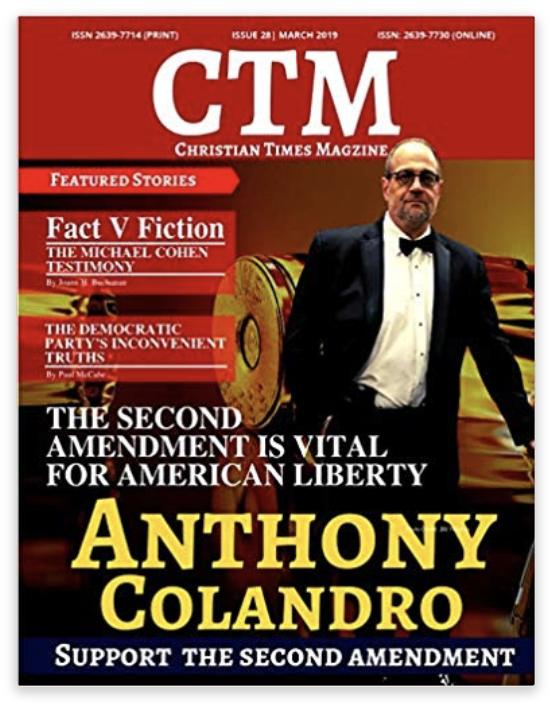 Ammoland Interviews Anthony Colandro - Gun For Hire | NJ's 6 Star Indoor Gun Range! Now that Anthony Colandro’s petiton drive has successfully placed his name on the 2019 Director Nominations ballot, it’s up to NRA voting members who say they want reforms to show us how much. The 2019 election will fill the 25 three-year terms that expire in 2022 and two one-year terms that opened up due to resignations and that expire in 2020. Voting members will be asked to vote for a total of 27 candidates. The 25 candidates receiving the highest number of votes will be elected to three-year terms and the two receiving the next highest number of votes will each be elected to one-year terms. As a voting member, and as someone dissatisfied with several things about NRA actions and leadership, and especially with those Nominating Committee picks who have proven over the years to be rubber stamps, I limit my support to those few candidates who have satisfied me that they practice what they preach. A questionnaire, a tool I have developed and used over the years, allows me to nail candidates down on their positions by eliciting unequivocal answers to specific questions. While it’s certainly possible that some will say anything to get elected, this creates a record that’s tough to make credible excuses for flip-flopping on. And it also helps to know something more about a candidate than what the brief ballot bio tells you, which can be gleaned with a bit of research, by soliciting opinions from people you respect, and by reaching out to them. If they’re not receptive and responsive to that, why waste your valuable time on them? At this early point in the race, there is one candidate whose answers have satisfied my criteria for an endorsement, Anthony Colandro. You can learn more about him and his qualifications in an AmmoLand endorsement piece, and all I can say about that is I was unaware of it until I’d decided he had my vote as well. My reasons are absolutely independent of that and I can prove it. I’d not only met Colandro several years back (and had a nice Gun for Hire Radio conversation with him), I’d endorsed him for the Board back in 2014. I’ve had a chance since then to compare what he says to what he does and have never had reason to believe the man to be anything but what he presents himself to be. David: Do you believe that the Constitution is the “supreme Law of the Land” and that the Bill of Rights acknowledges the birthrights of all Americans? Anthony: Yes I do. It is not a living document and it is what defines us as a nation. David: If so, should these rights be proactively protected from infringement by all levels of government? Anthony: Yes, we have had activist judges infringe on our rights for too long. David: Please give some examples of gun laws you consider unconstitutional. Anthony: I believe ALL Guns laws are Unconstitutional. The focus should be only if you commit a crime with a gun and criminal intent is present. There should be NO law infringing on the law- abiding citizen. David: Does the right to bear arms include the right for any peaceable citizen to carry them openly or concealed without a permit? Anthony: Yes, I am a firm believer in constitutional carry. David: Do you believe that Americans have a right to own, use and carry weapons of militia utility? David: Do you you agree with current NRA management’s call to “enforce existing gun laws”? Anthony: I do NOT agree with NRA’s stance of supporting existing gun laws. There are many laws that need to be repealed that penalize citizens with no criminal intent. David: Do you support or oppose licensing requirements to own or carry firearms? Why? Anthony: I oppose licensing and permits because it is our birthright protected under the constitution. David: What specific gun laws will you work to get repealed? Anthony: First, we need a national Right to Carry in the US. I would like to see the Lautenberg act repealed as well. David: If elected to the NRA Board, will you back your words of support for firearms rights up with consistent actions? How? Anthony: I have stated on my podcast and at rallies and at 2A events and throughout N.J. my opinions and actions for not yielding and inch! And I will continue to do so. David: Do you agree with the way NRA assigns political ratings? If not, what would you change and why? Can you give an example of a politician you would have given a different rating to, what would it been and why? Anthony: Basically it is all politics and they are only as good as their last vote cast. I have read the questionnaire and it is very thorough. I remember long ago when Harry Reid was A rated as well as NJ Senate President Steve Sweeney, traitors! David: Do you disagree with any policies being promulgated by NRA management? What is your biggest area of dissent? Have you offered superior alternatives and worked with others to implement them? What reforms do you think are needed at NRA and why? Anthony: The NRA is ready for a massive shake up from the top down to refocus on 2A rights, the time for bending is over, we need to take a hard line and push our agenda of right for ALL law-abiding citizens, The NRA needs to court and focus on members and move away from coddling manufacturers. There needs to be more transparency at the NRA as well. Members should not learn about issues from Bloomberg media first. I do not agree with the way NRA handles urban areas and we need to spearhead and educate inner-city residents through education to make our message heard and unite them to our 2A cause. I do not think the NRA does a good job keeping its members informed in the battle states like N.J. as to what they are doing behind the scenes. David: If elected, how will you inform members of your performance and voting record? Will you let us know when you dissent and why? Anthony: Yes I will, and I will use my podcast and all social media platforms to state my voting record as well as my dissent. I am an open book with no filter. I am not doing this for the title or the free Danish. If elected I represent the members not management. Something our politicians long forgot as well. David: Do you agree that politicians should be held accountable in their NRA grades for immigration actions that undermine the Second Amendment? If “No,” and if falling back on the “single issue” excuse, provide credible and testable evidence – not anecdotes and not just opinions – to show that will not happen. Anthony: As for as immigration goes, yes, the politicians should pay the price for not securing out Nation for the immigration invasion. We now have a three-tier system in the US. Political elites first, criminals and illegals second, and we the tax paying law-abiding citizens third. I have had enough! My ballot: Whether I vote for anyone else depends on if and how they answer. No true reform will come to the NRA until voting members can rate director candidates based on unequivocal platforms of support for “shall not be infringed. To those of you who are voting members and would like to see candidates answer these questions: Use them yourself or come up with questions of your own. And then share candidate responses or lack thereof with your gun owner associations and friends. Face it — if we can’t even elect no-compromise NRA directors, how in the world can we ever hope to elect no-compromise politicians?